Here are 3 basic parts to our 1.5% listing program, in a nutshell. Under the 1.5% listing program, we list your house and do all the things below for just 1.5% total commission to us! We are Full Service Plus, meaning we do more advertising, are more proactive and offer more services than most of the 6 and 7% listing agents. Many of their “Teams” put you off on one of their newer agents, and you never see the top agent you thought you hired. With our company, the person you hire is the person who lists your house and works with you! Also, we pay over $650 per month for just our listings to be featured on zillow, trulia and realtor.com, plus put it out on facebook-twitter-instagram & pinterest, we do a Virtual Tour, have a youtube channel and do a Virtual Flyer that goes out to google. If we bring the buyer or you find a buyer, we will represent both buyer and seller, full service, giving our whole heart and soul, for a total of 2% Commission! No other realtor offers this service!We get lots of action because of the way we advertise-ours is the only company listed next to our listings on zillow or realtor.com. Every other listing on zillow only lists paying realtors that do not know anything about your house! If another realtor brings the buyer, you pay us 1.5% and the other realtor 2.5% for a total of 4% commission! That is the lowest rate in town- yet we do 100% full service, really more than full service if you read all that we do! We are not Discount at all! You can find out what Full Service means by reading the points below. We are a local family company, mother, 3 daughters and son in law- dad is our webguy! We do all the things that 6% realtors do, but we do it for less: lockbox, listing it on rmls, sign, color flyers, Broker’s Open; We represent you 100% from start to finish, plus much more. 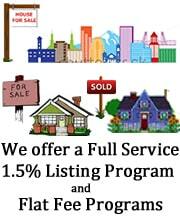 We have been doing 1.5% listing program since 2005, always full service, and we pay over $600 per month for advertising our listings. We continually add new advertising mediums as the digital world changes, and try to keep up with all the latest innovations. You can specifics on our advertising below under advertising. We also show your home, negotiate all offers, qualify buyers, handle the inspection, help you with repair negotiations, escrow, the appraisal, and all the other paperwork and problems that might come up along the way. We take professional photos. I’ve been a photographer since 1973, used aperture and light meter etc. Photos are my specialty. We have the latest wide angle camera and spend the time it takes to edit each photo to make sure the best features of your home are captured and displayed. I’m a professional writer, and take time to write descriptive, colorful, creative ads that emphasize the best features of your home. 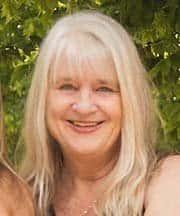 I remodeled and built houses for 20 years before becoming a realtor, so understand repair issues, and can fight for you with knowledge and understanding! Read more about my experience below. You can read about my experience in building and restoring homes under Helen. I taught all the Home Improvement classes at Home Depot back for several years before becoming a realtor-I even wrote and taught the Home Depot University Electrical class. 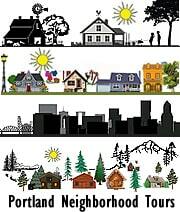 We are neighborhood Specialists, and wrote the online Portland Neighborhood Guide of at least 150 pages- so we know all the neighborhoods and suburbs of Portland, and we make sure to describe all the unique features of your neighborhood, like parks, shops and restaurants, trails, etc. I’ve been a Realtor since 1998, had my own company since 2006. My job evaluation test always puts me as excelling as teacher, psychologist, school principal and social worker! These are important skills needed in working with people, understanding their needs, and negotiating both price and repairs. I’m a go-getter, highly motivated, and I love what I do. It is our family business, all my kids are involved, and even my brother and his wife are realtors, so when we are together, real estate is right in the middle of us! It is our life! You can read more details about who we are below. We are a local family company, 3 daughters, a mother and a son in law! Dad is our webmaster! We have been doing full service 1.5% listing program since 2005, and over the years have added more and more advertising and other services, without increasing the price. We do quite a bit more than most of the 6% Realtors, and always have. Because we are a local family company, we don’t have all the overhead or franchise fees that the big companies have, so we can put more of our money back into the business, advertising etc… and charge you less too! It is definitely a Win-Win for all of us! I started doing full service 1.5% Listing back in 2005- because I thought it was the right thiIt ng to do! In 1976 we were paying 6% to realtors when I bought my first house for $28,000 up near Seattle! Houses are selling for 10 times as much now… but the commission is still the same! I just didn’t think that was fair to sellers. So we started the 1.5% listing program, and have been very successful- in fact putting us in the Platinum Diamond sales level year after year! And over the years, we have averaged selling about 25% of our listings ourselves…for just 2% Total commission! We pay over $600 per month to have all my listings featured on zillow and trulia, which are the top sites that people look at to find houses for sale here in Portland. Our listings on Zillow are featured, we can write as much as we want, about the neighborhood and all the special feature of the property, only our picture and contact are put beside our listings, so all inquiries go to us. Other realtor’s listings are 440 characters, and the 4 realtors beside their listing know nothing about the house. Thay are there because they pay for leads. We pay over $400 per month for our listings to be featured on zillow and truilia, which are the top places that people look for a house on in Portland. It puts us as the only contact for our listings on zillow, instead of giving leads to paying realtors who know nothing about your house. It also allows us to write more about the house, the neighborhood and put on as many photos as we want! Plus we can put on a video about the neighborhood and house. On Trulia, we have all the same info, and we are listed as the listing agent! Other realtors rely on something called Listing Hub to put their listings on zillow, trulia and realtor.com. It only allows the photos and short write up that is on rmls, and their contact is not next to their listings. It takes alot of work for us to hand list our listings, but but the results are worth it! We create a Virtual Tour of each house, emphasizing, not only the house but the neighborhood and what makes it special and different. We upload that to our YouTube site, to our Facebook, Twitter, Pinterest, Instagram, tumblr and other online outlets that reach different a whole different set of people than traditional ads. 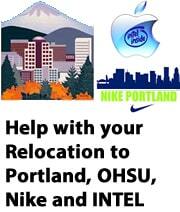 We also put the video on rmls, which puts it out on all the realtor websites including Realtor.com, Redfin etc. We hand create these videos to showcase both the house and the neighborhood perks! We also pay to have NAR (National Association of Realtors), to create a flyer of our listing, with slide show, and upload it to facebook and twitter, and we pay to boosts of our ads to send them out to targeted markets. We also do a Virtual Flyer that goes out to google, and 60 different websites. It has a slide show of the house and special things the neighborhood offers, and we upload it to our facebook, twitter, instagram, pinterest, linkedin, and other websites. We also do ads for craigslist and we allow the rmls Listing Hub to upload our listings to the 50 other sites that we don’t hand write, including Redfin, Hasson, John L Scott etc. And we continue adding new advertising mediums as they come available. We spend lots of time on our advertising, but it pays off for both our listings, and our reputation! I am a professional writer – so I write descriptive, colorful, creative ads bringing out the best features of Your Home. I include surrounding amenities like shops, restaurants, parks, festivals or anything else that makes your neighborhood special. Today, most people are looking for a lifestyle, even more than a house style. 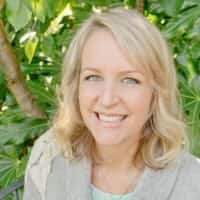 I feel that marketing the surrounding neighborhood parks, shops, trails, bike paths and anything else that is unique to your location, is one of the most important things I can do. We do a creative, unique Virtual Tour set to music, for each of our listings, that we can attach to rmls, Realtor.com, zillow, Redfin, facebook, twitter, pinterest, Instagram and other sites! It helps us to get extra photos onto rmls, add more information about the listing because we can showcase things about the neighborhood and surrounding area, and it draws people in so they want to see more! We also do a Vflyer, which is another unique way of advertising online. We can add as much as we want about the house, neighborhood, or anything else you want us to bring out, it goes out to google and the search engines, and we can upload it to all thv e social media sites and even craigslist. 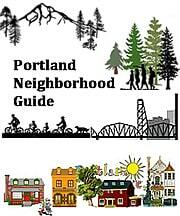 We are Neighborhood Specialists -We wrote the huge, free, online Portland Neighborhood Guide in 2006 that was by the Portland Welcoming Committee as the best Neighborhood Guide in Portland! It is on our website! We just finished updating it this fall, in 2017, so it is even better now! We have specialized in giving buyers Portland neighborhood tours since 2005 because Portland is so diverse, has so many different types of neighborhoods, landscape, personalities and lifestyles. It is so important for buyers to understand all that before they buy a house, so they can choose the best location for their own needs, personality and lifestyle. We still give Free Portland Neighborhood Tours of all the Portland Neighborhoods and Suburbs, which brings us many buyers from out of state and out of country! That can also help with the marketing of your home, because we really understand the unique characteristics of each neighborhood and can broadcast it to people looking to find a house. Sometimes there can be an issue with appraisals. If we think there could be a problem, we work hard to make sure we handle it before it becomes a problem. We do this by giving the appraiser listings that back up our price, by making sure they understand the neighborhood and why your house might be worth more than one a few blocks away, by putting a clause in our acceptance that limits the Buyer paid closing cost if the appraisal comes in low or at the sales price. If the appraisal comes in too low, we use the legal tools available to dispute it. I have built and remodeled houses down to the studs for 20 years before becoming a realtor… and we actually did all the work ourselves… We didn’t hire people! Our first house was a 1914 that needed absolutely everything redone! So I really understand how a house is put together, both old and new houses… the structure, electrical, plumbing etc of a house- I can give knowledgeable advice on repairs based on experience- and have a team of honest, fairly priced contractors that can help! We always co-list all our listings, so that you have our whole team working for you! We all try to be available to answer calls, texts, and emails. Because we are a close knit family, and we love each other, we really care about our business even more than most… it is our life… and we work together to make it the best it can be! We each can bring different aspects to the business… you can learn more about each of us on by clicking on our name or photo! We also get feedback for you on all of the showings you get. We get a notice each time your house is shown, and at least twice a week we email the realtors that showed it to find out their thoughts! That helps us know about any problems or issues, and lets us know how others feel about the price, and anything else we need to address. Every time I have taken an evaluation test to see what areas I excell in, and what type of job I should do, I consistently come up with highest skill levels in Teacher, Psychologist, School Principal, and Social Worker! I’m rated extremely high in being goal oriented, having an entrepreneurial spirit, and being a creative thinker. All these are skills needed by a top notch realtor! You have to understand people in order to be able to help them, and you have to be able to explain things in a way they understand! This also helps me in negotiating price, repair and anything else that comes up in a transaction… plus I really care about people! So I want to do the best job I can for them! I am a go-getter, highly motivated, and because this is our family business, it is part of our life and we give it our best! So we work hard for our clients. How do we manage to sell so many of our listings ourselves? When I first came up with this business plan of 1.5% Listing in 2004, I wanted to make sure buyers contacted us if they wanted to see one of our listings, or had questions about it. Our goal was to give sellers what we promised… which was to sell their house for 1.5%. To do this, I made sure my photos were the best they could be, my descriptions made people want to go see the house, and I used all the internet sites available at the time to get my listings out there! 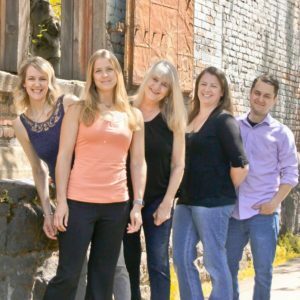 Things have changed over the years, and we have adapted, being one of the first realtors to create a website that actually had a huge, all inclusive, Portland Neighborhood Guide that was free, had no strings attached, and could be accessed on our website. We also are constantly evaluating new media that come out, and try to be at the forefront of adding new ways of advertising our listings that will bring buyers to see them. Because my daughters and son in law are part of the company, they keep us on the cutting edge of new things. The 2nd most important thing was to make sure buyers contacted me to see my listings! I extensively researched the options available, and right from the beginning, advertised on craigslist, realtor.com, trulia, zillow, Portland Back Page, Vflyer and more… even before most realtors knew they existed. And I continually have to research, update and change my advertising approach to keep up with all the new avenues available. To get people to come to me with questions, or to schedule a showing…thus helping me to fulfill my goal of trying to sell a listing for just 1.5%, I had to have my contact info on each ad, a link to my website, a link to my neighborhood guide so they could learn more about the area etc. The 3rd thing was to have my website be somewhere that people wanted to come because it offered important useful information they couldn’t get anywhere else… The Portland Neighborhood Guide was born! You can see it if you click on the link at the top of my website. You will be surprised at how much information is there! So once people go to my website, learn about us, our family company, our Neighborhood Guide, they are more apt to want us to show them our listings! This gives us more of a chance to sell the house under the 1.5% listing program . Some people think there must be a catch… why would we want to sell a house for 1.5% (Listing) when I could get more if I wanted to? The answer is, I feel like 1.5% is very fair! I am happy with that rate! And if I sell my listings for 1.5% (1.5% Listing) I am fulfilling my stated goal, and my reputation will flourish! There is another aspect to this plan. If I show the house, and the buyer doesn’t like it, many times they will want me to show them other houses too. So it is really a Win-Win for both myself and the seller! And because of that, we do our best to show our listings as much as we possibly can! Here is how our program works: We do all the normal things other realtors do: Put up a professional sign, do color flyers and keep box loaded, put on an rmls lockbox and enter it into rmls, do a Brokers Open and open houses if you want them, take all the photos, write and post ads etc. We also show your home, negotiate all offers, qualify buyers, handle the inspection, help you with repair negotiations, escrow, the appraisal, and all the other paperwork and problems that might come up! As you read more about what we do, you will understand why I say we give absolute full service, even above full service compared to many realtors out there today! Here are some details on what we do that goes above and beyond a normal listing. You can find over 60 reviews of us on zillow. We have a 5 star rating due to to 1.5% listing program!